Had anyone else sold their dictionary – their big dictionary – I might have felt sorry for them. 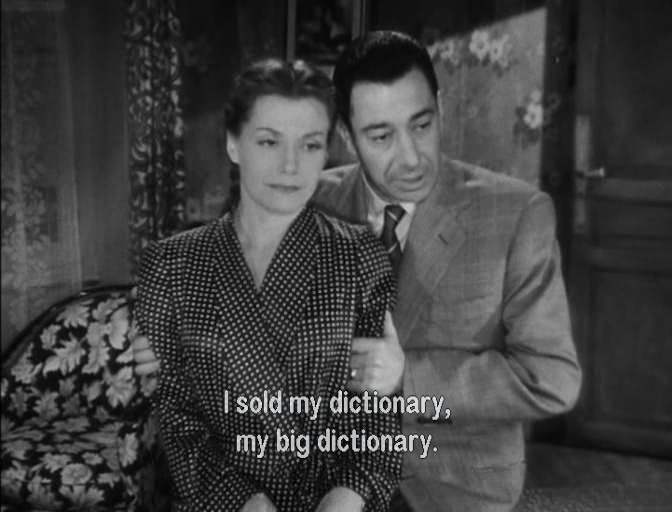 But if you’ve seen the classic suspense film Les Diaboliques (1955), you won’t feel any pity for its cruel male figure. The actors shown are Véra Clouzot and Paul Meurisse. Véra’s husband, Henri-Georges Clouzot, directed the film.